Eight Arrows Of Chaos Necklace | BUDK.com - Knives & Swords At The Lowest Prices! 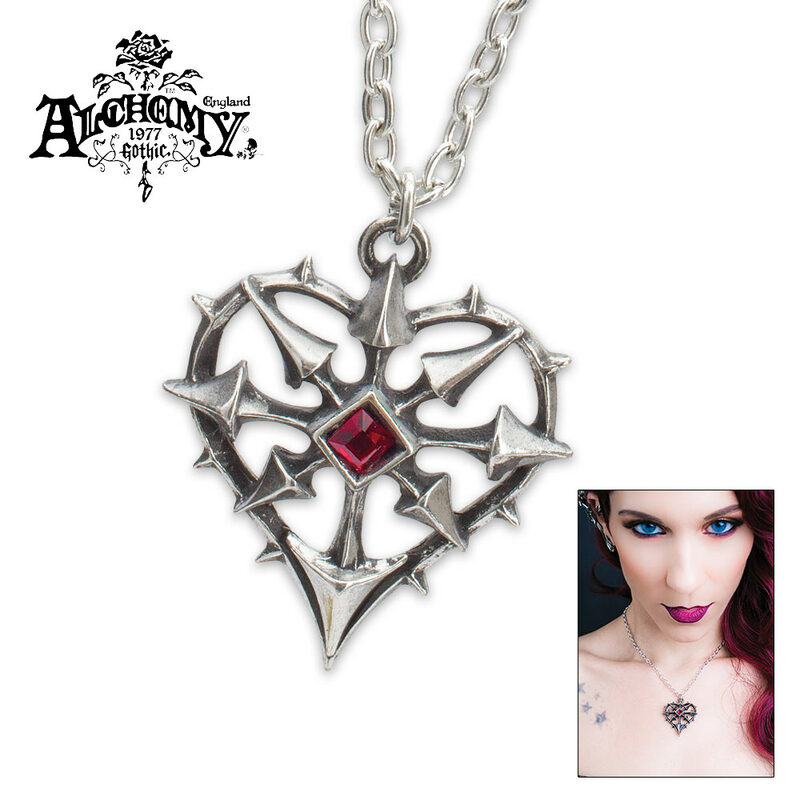 True, exhilarating passion, dangerously unleashed with the unpredictable, force of chaos is the essence of the Eight Arrows of Chaos Necklace. 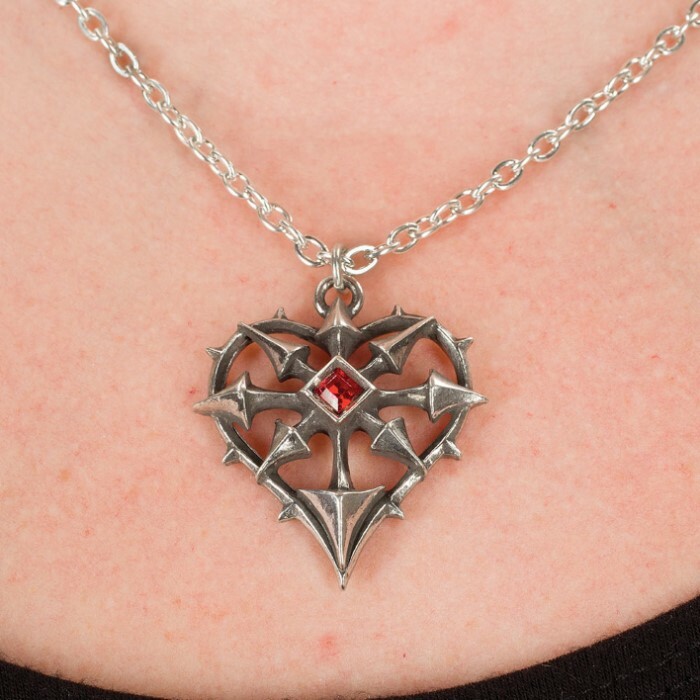 This antiqued pewter cut-out, heart-shaped pendant has thorned edges and incorporates the Eight Arrows of Chaos. 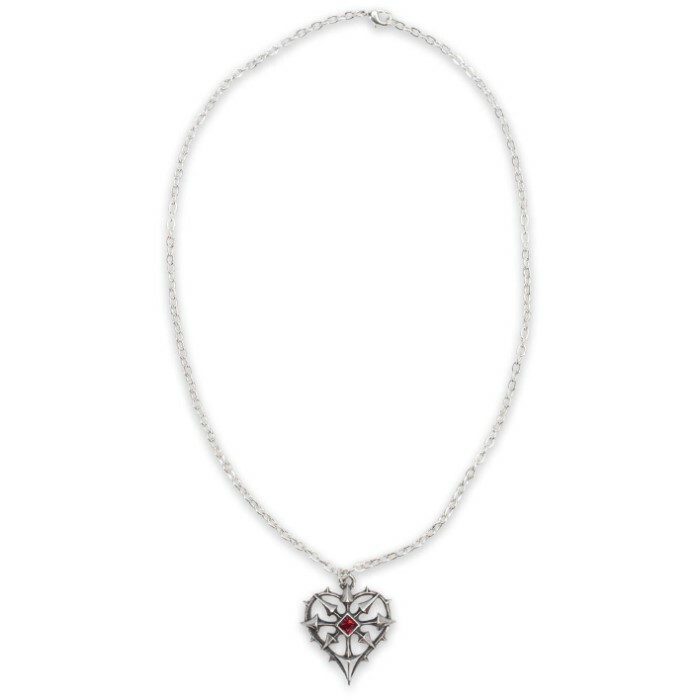 At its center sits a square, red Swarovski crystal. The pendant comes on a strong 21" chain.